It’s less than two weeks until the official announcement of the full programme for the 2012 Hay Festival. About this time each year, we produce a list of people we are confident will be in the programme. We don’t guarantee the accuracy but we do go to some effort to make sure the names are right. They come from a variety of sources including official Hay channels. So here is our latest update with 55 names for the 2012 Hay Festival. Here at Making Hay we’ve been keeping our ear to the ground. We have some more names who we are confident will be appearing at the 25th Hay Festival at the beginning of June; bringing music, literature and comedy. So far tickets are on sale for Tim Minchin and Hilary Mantel with more official announcements promised soon. Due to massive popular demand the Hay Festival has added a second Tim Minchin date to the 2012 programme. The original Friday night performance sold out within a couple of days. The antipodean singer/entertainer/’thing of jaw-dropping wonder’ will now also appear on the previous Thursday night, typically a low key opening day ahead of the Bank Holiday weekend. Both gigs will are in the Barclays Wealth Pavillion – the site’s 1500 seat flagship venue. Tickets are on sale now. Here’s a our first short list of confirmed names for the 2012 Hay Festival. Simon Callow was announced on the official Twitter on Boxing day and both Hilary Mantel and Tim Minchin are on sale on the official Hay site. 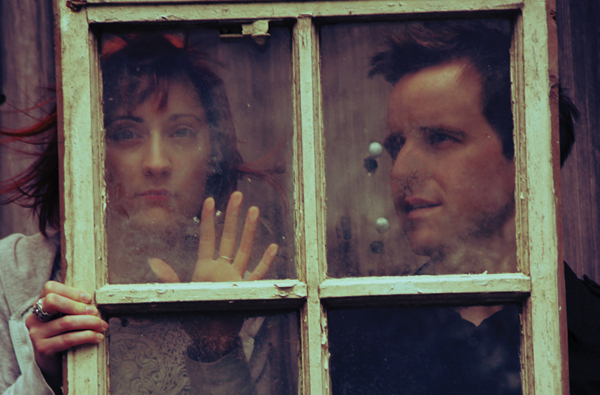 We’ve already mentioned the singing duo Paper Aeroplanes on this blog. We can’t absolutely guarantee that the others on this list will be threre, but we are fairly sure we are right. More official announcements are on their way at the end of the week. A publishing venture for the new age was unveiled yesterday in a purpose-built shed at the Hay Festival. Unbound aims to connect writers with readers in new ways. The Unbound web site hosts author’s ‘pitches’ for new books and if you like the idea, you can become a sponsor, when the target number of sponsors is reached the deal is done and the author can go ahead and start writing. There are different levels of support, from simply pledging to buy an ebook through to tickets for the launch party and even lunch with the author. Sponsors also have access to the author’s private area of the website or ‘shed’ where there will be updates on the book’s progress and exclusive interviews. The beautifully bound, limited edition hardback even comes printed with the sponsors names. Several authors are already signed up including Terry Jones who is the first off the mark with a sponsor. You can check out and even support the current projects on the Unbound site. A veil was drawn over an epic literary feud at the Hay Festival. Paul Theroux and VS Naipaul ceased hostilities with a handshake in the green room. The rapprochement was brokered by Ian McEwan who encouraged Theroux to offer his hand to his erstwhile mentor and friend . “I miss you,” said Theroux. Naipaul replied “I miss you too”.